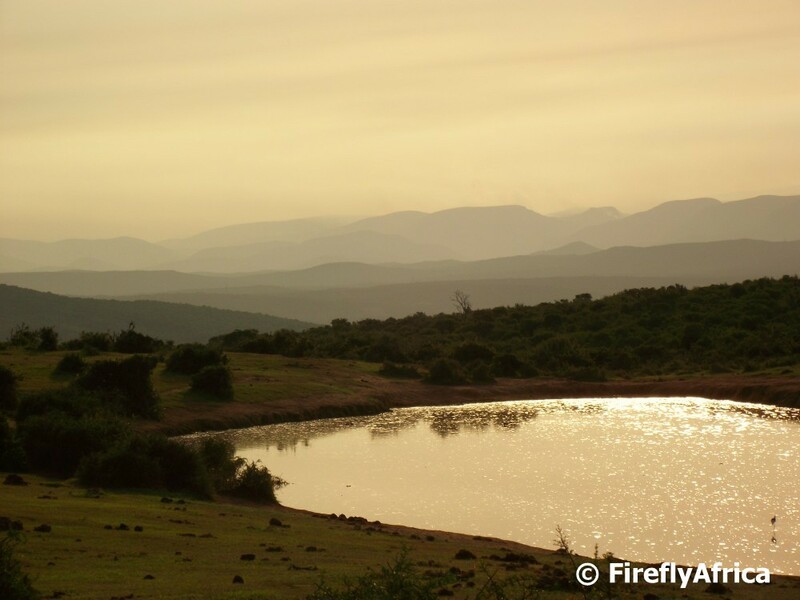 Dusk is by far my favourite time when visiting any game reserve or national park. It's preceded by the most beautiful light for photography but when the sun starts to dip, touching the horizon, it’s like calm sets in on the bush. The cross over from day to night. When the daytime animals start to settle down and the night time animals wake up. After a hot day the coolness of evening brings relief while the wind often dies down. The best time of the day. The picture was taken at Gwarrie Dam with the Zuurberg Mountains in the background while on a late afternoon game drive in Elephant National Park. 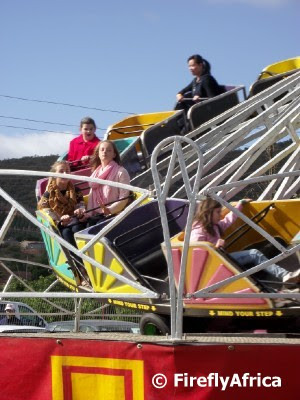 The annual Patensie Citrus Festival took place on 15 June 2013 in the Gamtoos Valley west of Port Elizabeth. The Gamtoos is mainly a farming area with beautiful scenery, not forgetting true farming hospitality, so I take any excuse I can get to visit. After really enjoying the 2012 festival we decided to head out there again this year and bundled the family in the car on the Saturday morning, headed out to the countryside. 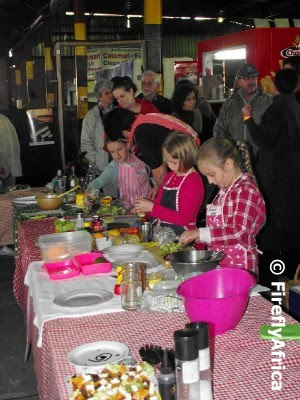 Here are a some scenes from the festival. 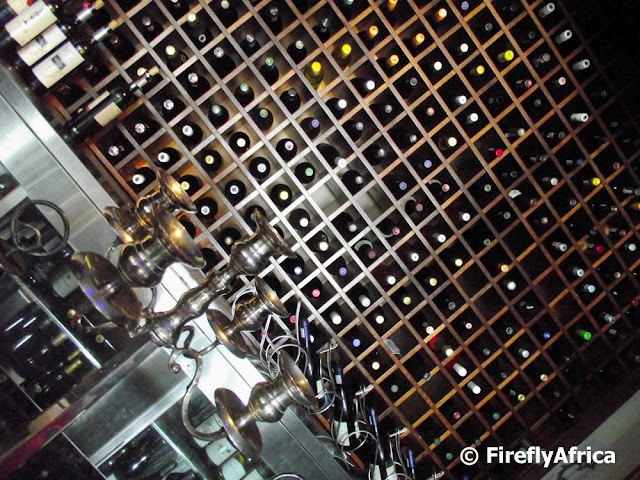 While having lunch at the Twelve Apostles Hotel, I took a walk around the restaurant between the starter and main meal to snap a couple of pics and stumbled on their wine room. Its not so much a wine celler, as you don't go down steps into a dark stone room full of vintage wine and cobwebs, but a seperate cold room to store and display their wine in. But that doesn't matter. Now I'm not much of a wine drinker but the room immediately grabbed me because of the huge wine rack against the back wall. I don't know what the people by the table next to the door thought of me, but I snapped away at different angles to try and get a nice photo in the small confines. The Boardwalk Complex in Port Elizabeth has always been a beautiful sight at night but since the completion of the new 5 star Boardwalk Hotel and Convention Centre it's become an absolute visual feast for the eyes. 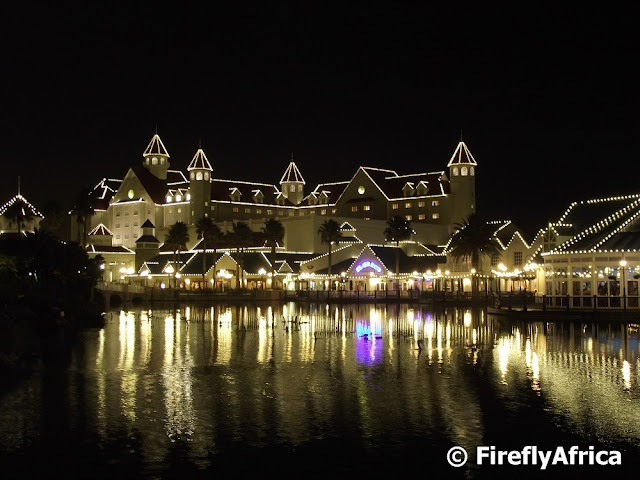 The lights become even more obvious when seen from inside the Boardwalk Complex itself where it reflects off the Boardwalk lake. When you mention the word "backpackers lodge" to anybody, most people would probably associate it with "dorms where youngsters from all over the world travelling with backpacks would sleep". If that was your answer as well you would partly be right. But only partly as you could also be totally wrong. Let me tell you why. Firstly, although most people staying in backpackers lodgers are youngsters, there are also more mature people backpacking these days. Secondly, backpackers lodges are so much more than just dorms these days. 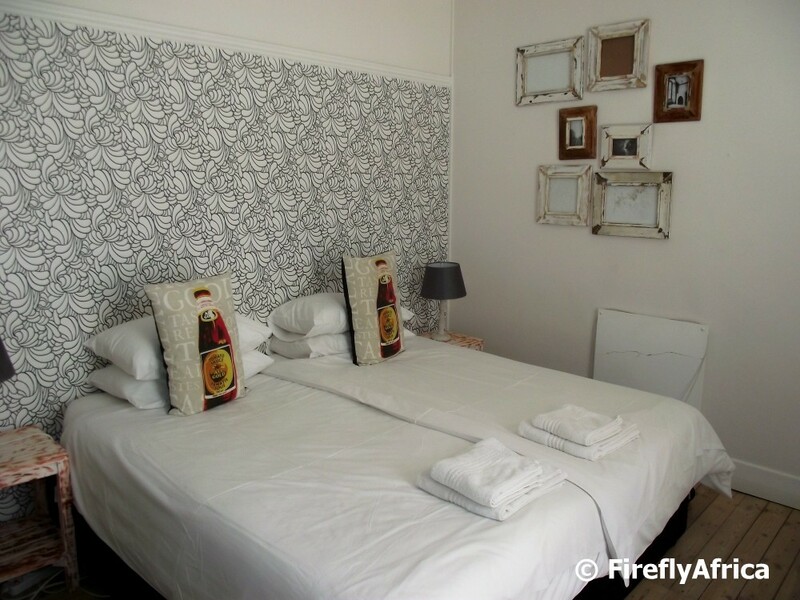 Most also offer double rooms with en-suit bathrooms just like any guesthouse. Thirdly, although most of the backpackers lodges' business still consist of international travellers, a lot of business also come from South Africans travelling for leisure, business or events. 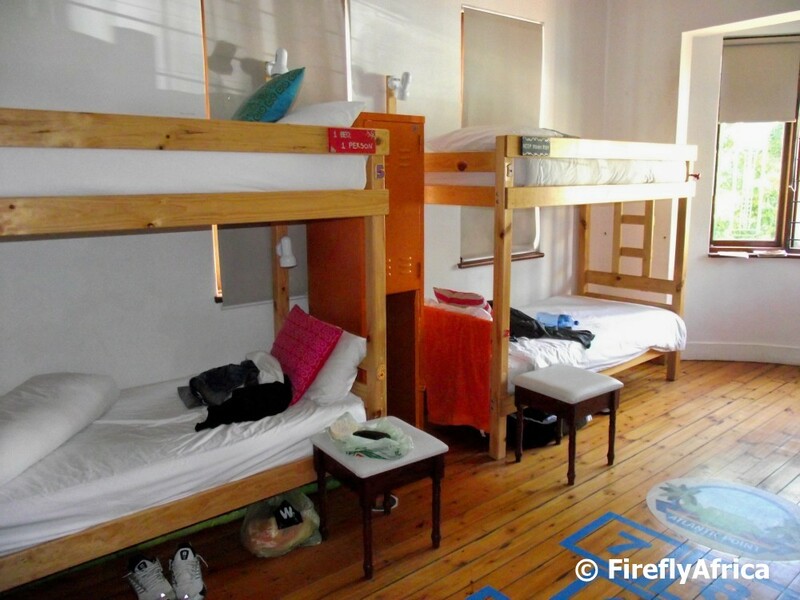 And lastly, not all people staying at backpackers lodgers have backpacks. I for one didn't have a backpack and neither did the people who's suitcases stood by the front door waiting for a taxi to take them to the airport. Getting to the point of the post. 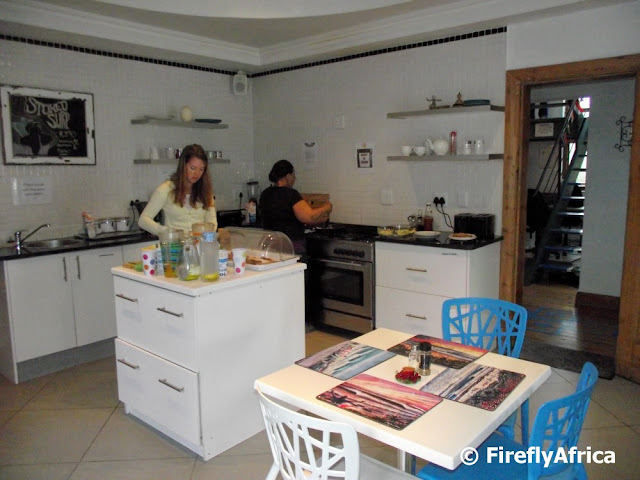 I recently got to participate in a bloggers' weekend in Cape Town to, amongst other, learn more about accommodation star grading in South Africa. Each of the three bloggers got to stay in a different four star establishment and while my fellow bloggers got a hotel and guest house respectively, I was told that I was staying at a backpackers lodge. I've only stayed in a backpackers once before and it was a very basic one at that so I suddenly had flashes of sharing a dorm with strangers in a little wooden shack somewhere. Suddenly I wasn't too sure if I was still looking forward to the trip anymore. While doing site inspections at the other two establishments, I kept chirping the other two about how I'm going to come and knock on their door that evening looking for a place to crash. 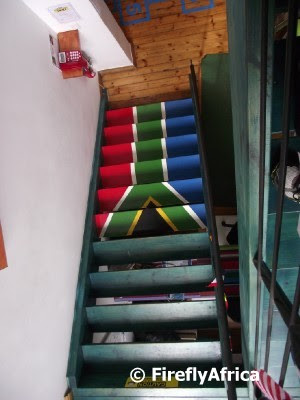 That was until we got to Atlantic Point Backpackers in Green Point. The question on everybody's lips were, "This is a backpackers?" Atlantic Point was everything I didn't imagine it would be. The dorms were spacious and neat with individual lockup areas for each guest while the public areas were beautifully furnished and laid out. 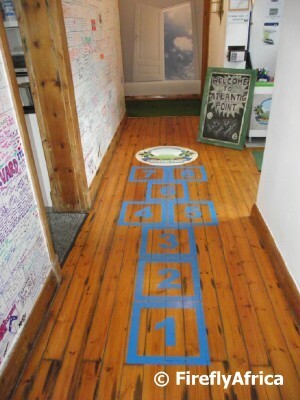 Emphasis is on fun and practicality, making visitors feel comfortable and at home. The cherry on the cake was the fact that I didn't have to share one of the dorms with the happy-go-lucky bunch enjoying themselves in the lounge, but was rather showed to a stunning double room with its own en-suit bathroom. Yes I know it would have been great to interact more with the young lot but I'm past that part of my life and enjoy a bit of privacy. Breakfast is a typical backpacker lodge one of cereal, toast, egg, fruit and coffee where you help yourself and make sure your own dishes get cleaned. Planning your day (if I had to plan my day but luckily that was all planned for me by the TGCSA guys) is made easy by the fact that the lodge staff are very knowledgeable and will make the necessary recommendations and bookings for those wanting to go on an excursion. 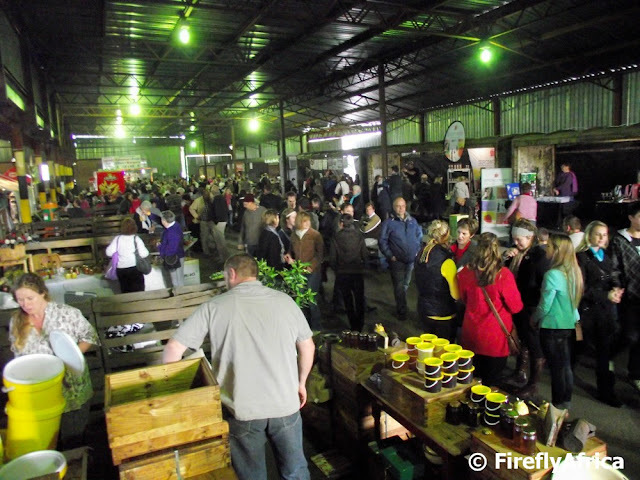 Brochures are available for attractions and tours around town, recommended backpackers lodges to use while travelling through South Africa and directions and info for all the surrounding restaurants and pubs. Everything you need is catered for. 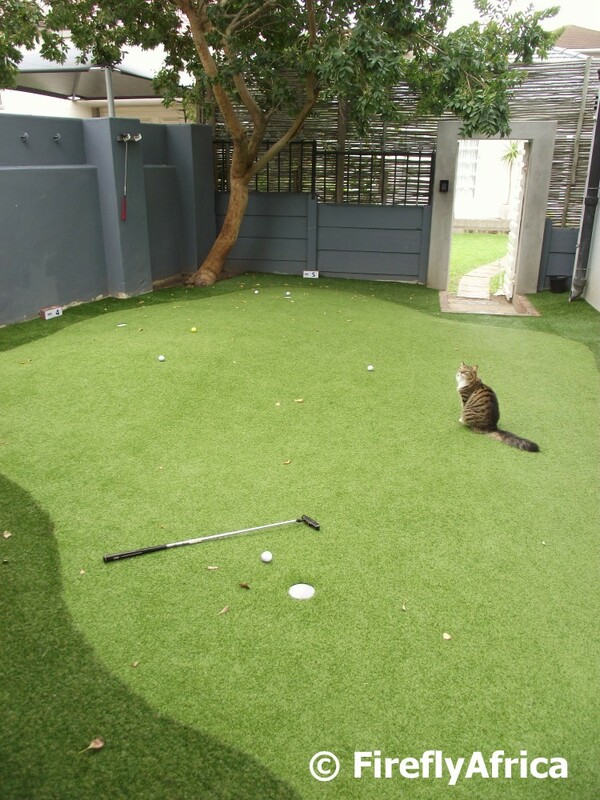 I even tried out their mini golf green a couple of times as it was on the way to my room. Did my perception of backpackers lodges change during this trip? It sure did and even though I won't stay at one while travelling with my family, I would definitively consider staying at one like this when on my own. 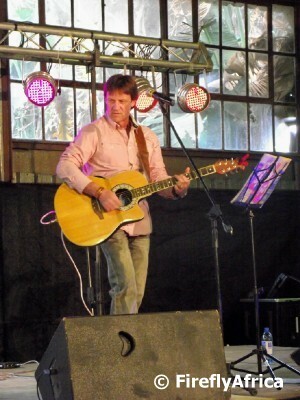 Disclosure: I stayed at Atlantic Point Backpackers as guest of the Tourism Grading Council of South Africa. I received no additional remuneration to write this post and all views expressed are my own. 16 June is National Youth Day in South Africa. It is a day on which the country not only remembers the youth of 1976 and the significant role they played in bringing about the freedom South Africa enjoys today, but also celebrating the freedom won and the youth of today. On this day in 1976, Soweto high school students took to the streets in a peaceful protest against the mandatory use of Afrikaans as a language of instruction in black secondary schools. The students planned to meet at Orlando Stadium before marching to the regional offices of the Department of Bantu Education, where they intended raising their grievances with the authorities. On the way to the stadium, they were met by the police, who ordered them to end the march and disperse. A violent confrontation ensued, in which students threw stones and police fired shots. News of the events in Soweto soon spread, igniting uprisings around the country in which more than 550 people died. One of the first to die on this tragic day in 1976 was 13 year old Hector Pieterson. 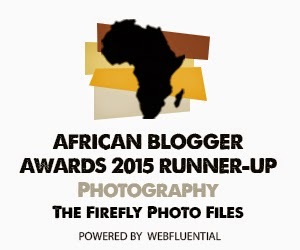 Sam Nzima, a photographer for The World newspaper in Johannesburg, was in Soweto, covering the riots. 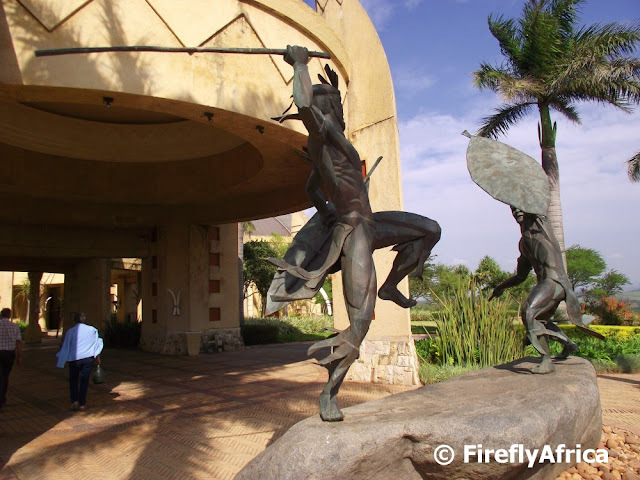 His iconic image (seen as part of the Hector Pieterson Memorial in the picture above) of Pieterson’s body being carried by high school student Mbuyisa Makhubo, with his sister, Antoinette Sithole, running alongside, is a graphic representation of repression under the apartheid regime. 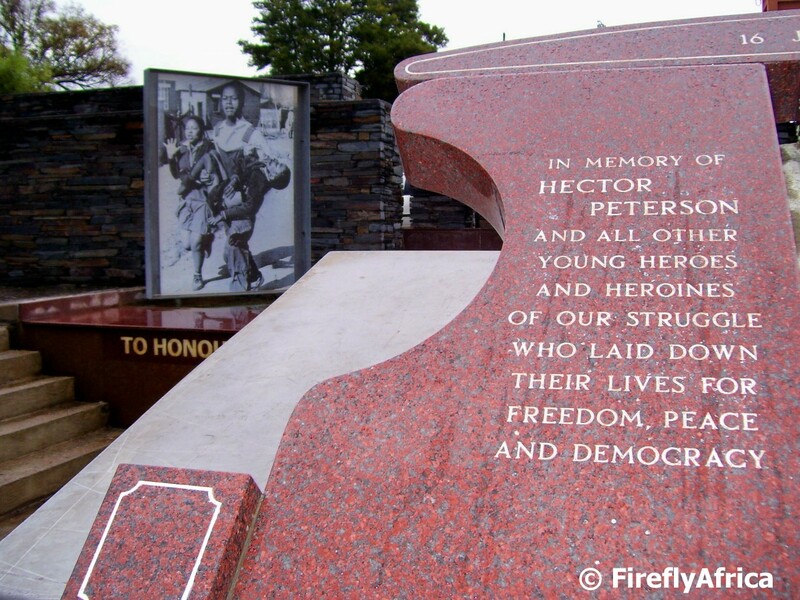 In the early 1990s, the Hector Pieterson Memorial was built on Khumalo Street, not far from where Pieterson was shot. On 16 June 2002, the Hector Pieterson Museum opened on Maseko Street, Orlando West. The museum, dedicated to preserving the memory of the 1976 uprising, is home to a collection of oral testimonies, pictures, audiovisual displays and historical documents relating to the Soweto uprisings. Together with the memorial, it commemorates those who died in the uprisings, and celebrates the students’ role in the struggle for freedom. 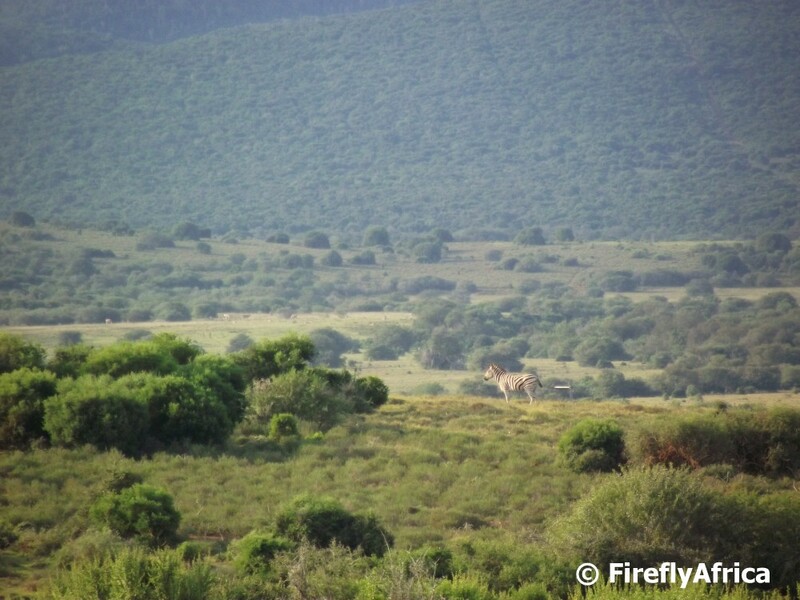 I've always wanted to take one of those "lone animal on the plains" photos and got the opportunity in Addo Elephant National Park the other day. Unfortunately for me I was on a moving open vehicle with nowhere to steady my camera. Hence the fact that its not a crisp photo. At the time I also though how awesome it would be to have a proper DSLR camera with a big lens and not just my little super zoom. Maybe some day. "Psssst, I'm thinking sponsorship opportunity with links and a sidebar advert". 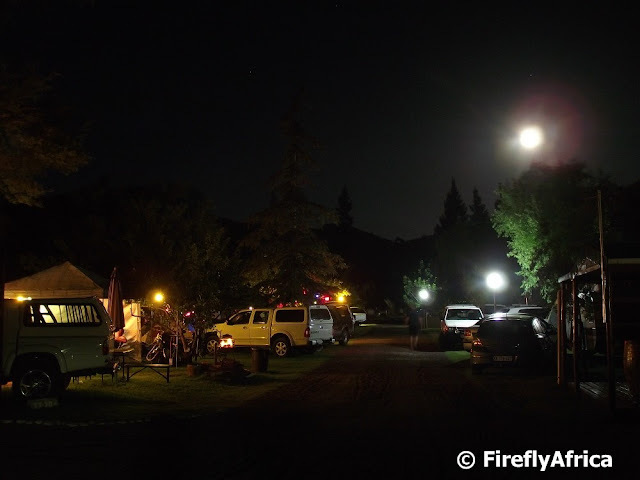 Everybody likes to stay in hotels and guesthouses if they could and I'm no different, but when we go away on family holidays we like to camp. 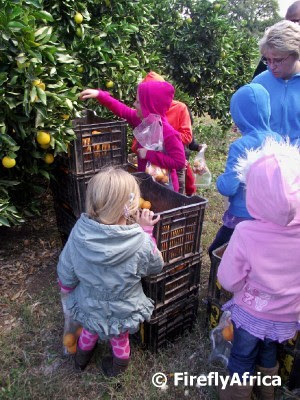 It brings us closer to nature and gives the kids a lot more freedom to roam. I love sitting in my camp chair by the fire with chops sizzling over the coals, a drink in my hand and chatting with my neighbour. Once its gets quiet you hear the night sounds all around and it feels like you've been transported to a whole different world. Its not a world where everybody feels comfortable, sleeping on blow-up mattresses in a tent, but its a world I love to experience a couple of times a year. 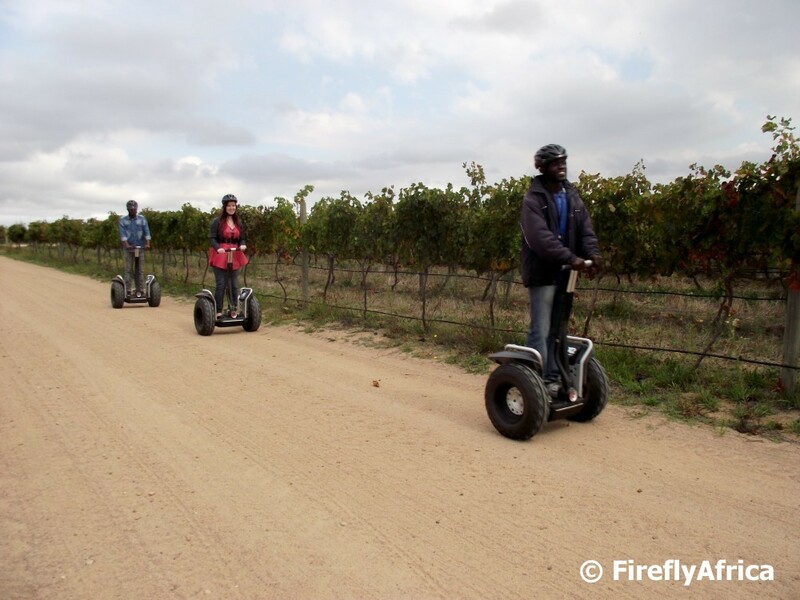 Visits to wine farms are normally associated with wine tasting, good food and historic buildings so wizzing around Spier Wine Estate on two wheels is something of a change. I'm not referring to riding a mountain bike though as the two wheels in this case are next to each other and not in front of each other. 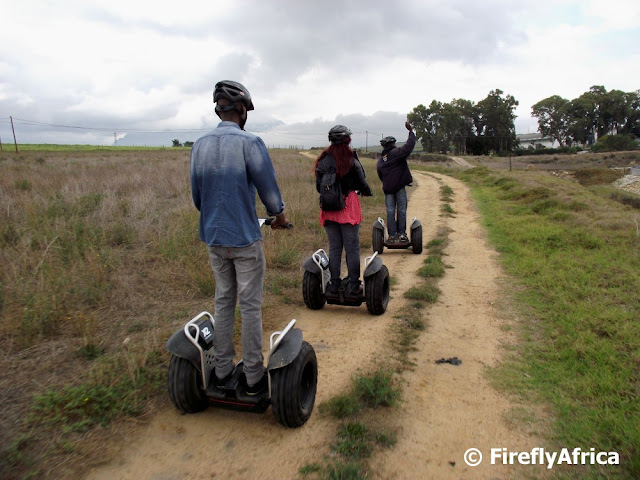 I've done the Segway tours in Storms River Village on two previous occasions with Tsitsikamma Segway Tours and absolutely loved it so grabbed the opportunity to do it at Spier with both hands (although I did let go with one hand every now and then to snap a picture). 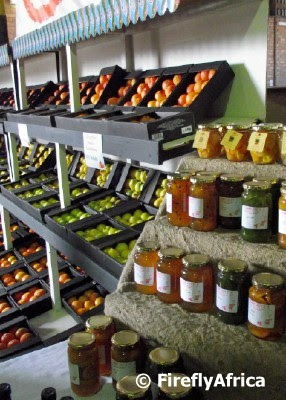 Spier offers two options to choose from. 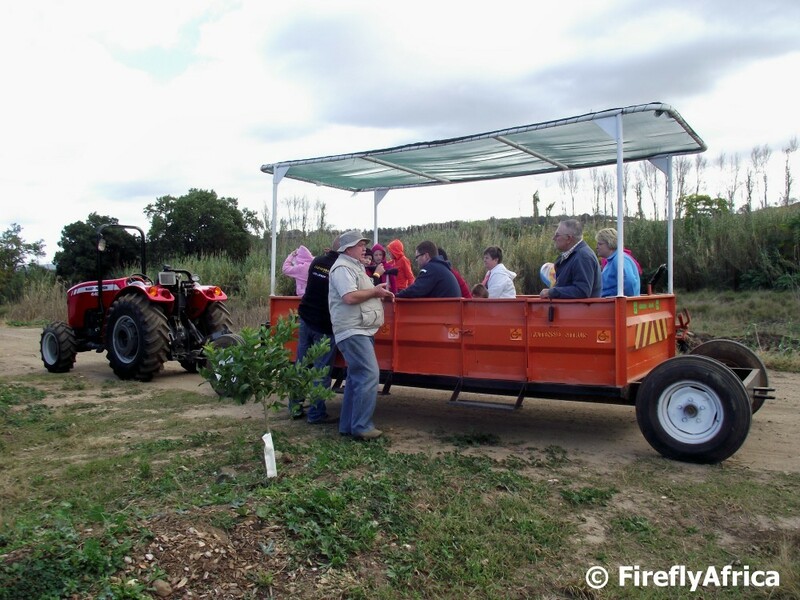 The shorter 1 hour tour that covers the Protea Garden, some of the farm's environmental responsibility projects and a quick view of the vineyards while the 2 hour tour allows for a longer tour of the vineyards before ending off with a wine tasting. Our little group went on the shorter tour as we had a lunch reservation at Mojo's and made the most of every minute we were out there. 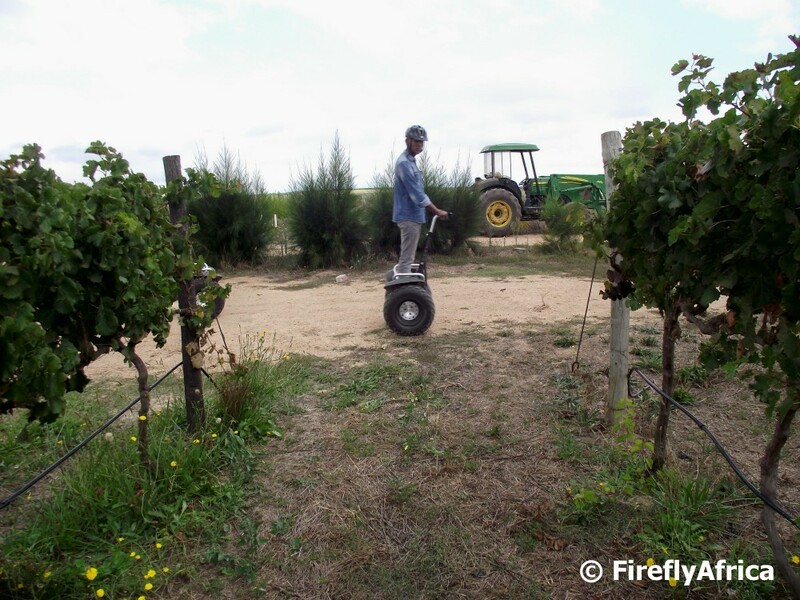 Segways are easy to use and it doesn't take that long to learn how to ride them. The instruction session is thorough and especially the safety issue gets emphasised. The guide, who makes sure you implement everything you learned while out there, rides in the front and stops the group every time there is something to show. 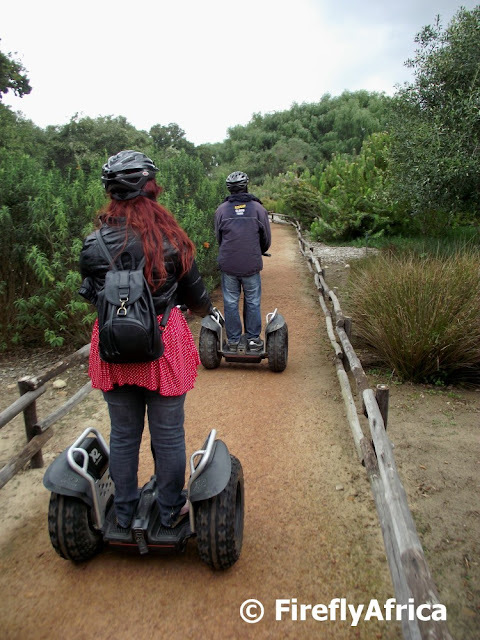 The problem is that once you get going on the Segway you don't really want to stop. Its that much fun. But safety is paramount and the equipment is expensive so you better listen. The route does give you the opportunity to do some uninterrupted gliding as well giving you an all round Segway experience. The Segway tour is a must do if you get the opportunity. An easy way to cover a lot of ground in a sort period of time AND its environmentally friendly. Plus I really really want one. I'll have to settle for going on segway tours when I get the opportunity though. Disclosure: I went on the Spier Seaway Tour as guest of the Tourism Grading Council of South Africa during a fully hosted blogger tour. I received no additional remuneration to write this post and all views expressed are my own. 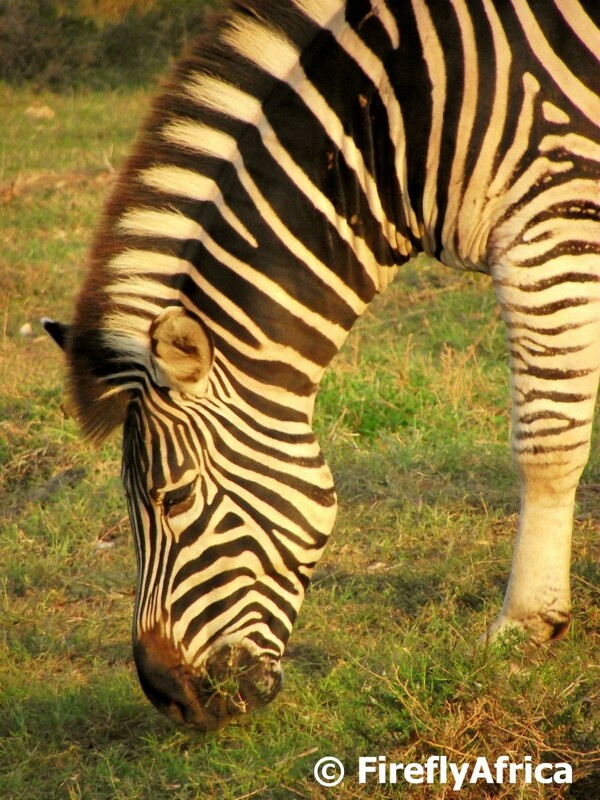 A Burchell's Zebra (Equus quagga burchellii) or just Plains Zebra as they are apparently being referred to now, grazing in the late afternoon sun in the Addo Elephant National Park. Many visitors to the beachfront at Umhlanga Rocks take a walk onto the 80 meter long Umhlanga Pier to enjoy the view of the coastline and the Umhlanga Lighthouse close by. What many of these visitors don't know though is that the pier was actually built to assist with the dispersal of storm water into the sea. Before the pier was built storm water used to be discharged onto the beach at Granny's Pool. 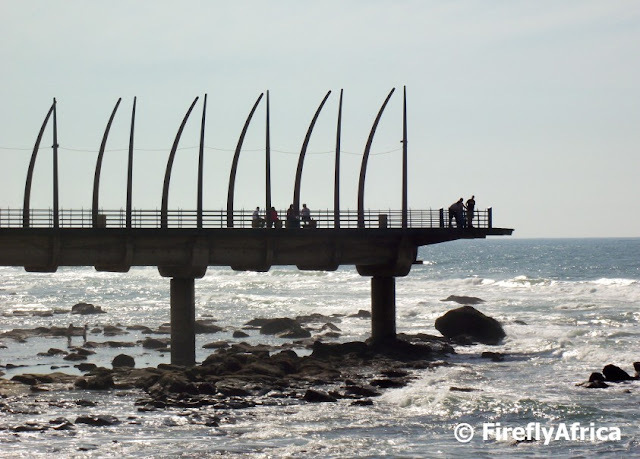 A large underground box culvert was constructed from Lagoon Drive and the pier is a continuation of the culvert, taking the water directly into the sea. 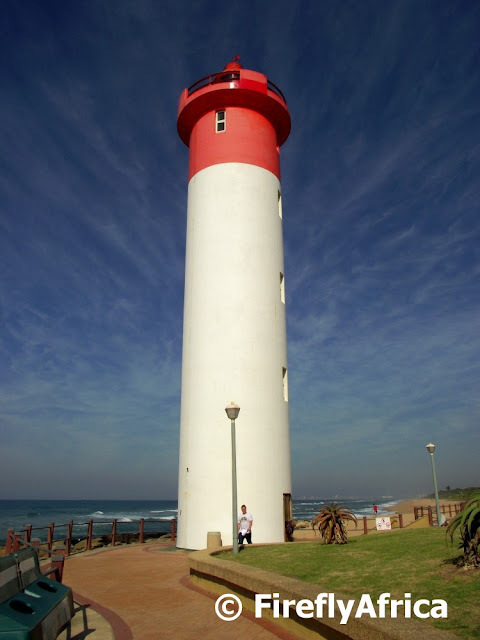 The 21 meter tall red and white Umhlanga Lighthouse is probably the best known lighthouse on the KwaZulu Natal coastline. 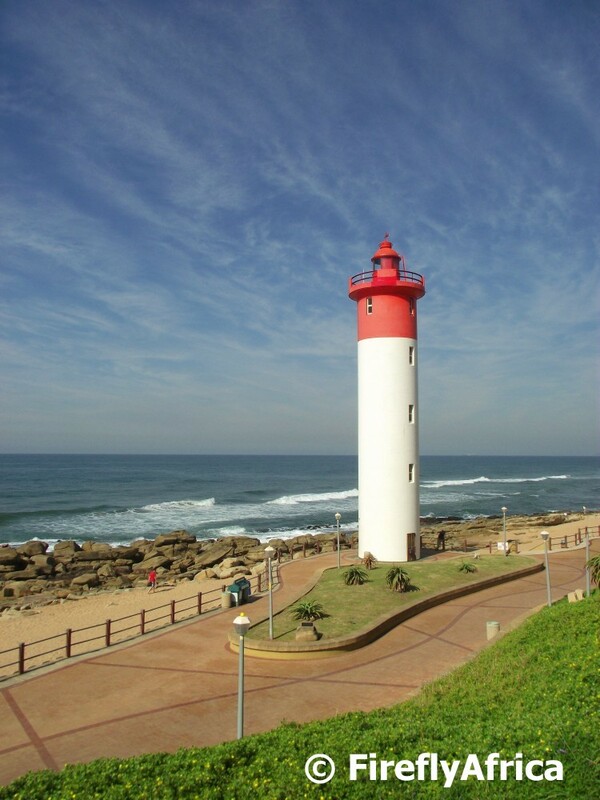 Umhlanga Rocks is situated on what was originally part of the sugar estate of Sir Marshall Campbell and means Place of Reeds in the Zulu language. 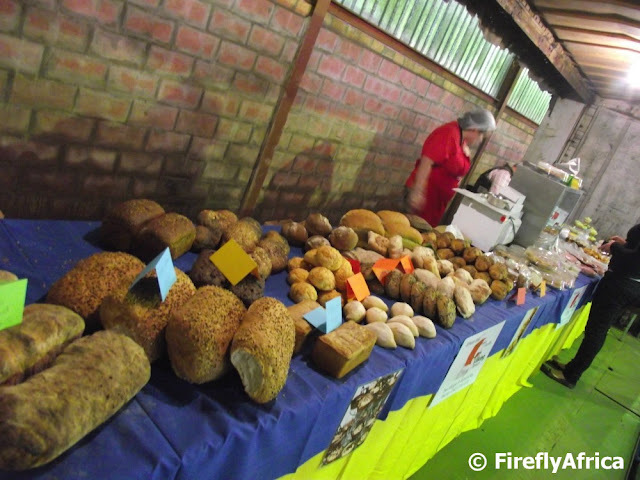 This refers to the beds of reeds that accumulate on the banks of the Ohlanga River a few kilometres north of town. Incidentally Sir Marshall was also the person who introduced the colourful rickshaws to Durban's beachfront. 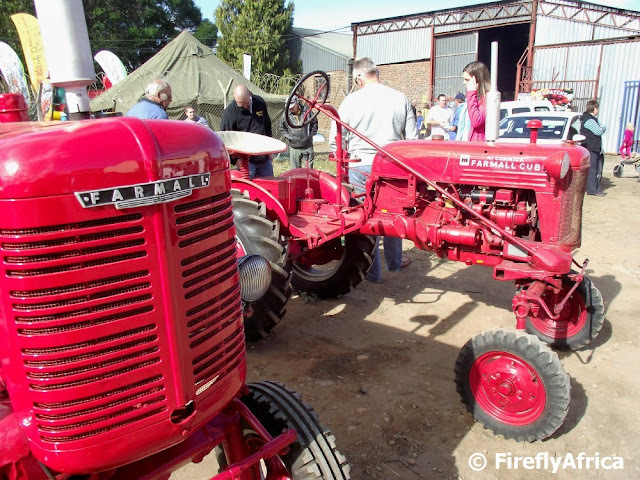 When a track was made from Mount Edgercombe to Umhlanga Rocks, the area became popular with local farmers who leased small plots on the shoreline to built vacation cottages. From there it developed into the popular seaside resort it is today. The lighthouse was completed in 1954 and replaced the Bluff Lighthouse, which was commissioned in 1869 but had to be abandoned due to its rapid deterioration. The flashing light is a welcome sight to ships sailing into the safety of the Durban harbour. Except for its main light its also has a fixed red light that enables ships waiting to anchor in the outer anchorage to monitor their position. If the red light can be seen, it suggests the ships' anchors have probably dragged and is too close to shore. The Oyster Box Hotel, which was built in 1869 and was originally the first beach cottage in the area, has been the lighthouse's official warden right from the start and the lighthouse controls are in the hotel office where staff monitor the controls and report to Portnet's Lighthouse Service.